Some days absolutely sparkle and shine. And the wind comes sweeping down the plains! Sweeping down the plains is right!!! The wind has been a challenge here lately! I never knew how true that line of the song was until I began going to Oklahoma with hubby. I've never been that it wasn't windy; sometimes it's just MORE windy! Awesome photographs and oh so colorful, thanks for sharing. Your clematis is gorgeous, Stacey! What is that gorgeous pink flower? Oh yes, I DO remember those winds! This wind IS something!!!! Hope this doesn't mean storms are headed our way. Your clematis is beautiful! I love your clematis vine..that shade is pink is my favorite..I have a paler pink and some purples..just beautiful! Have a great weekend Stacey! I have no idea what that pink flower is called, but I'm totally in love with it. Wow! I know exactly what you mean...sometimes the day just scream, "There is a God and this is all a gift." Have a blessed weekend. I love days that sparkle and shine. The wind I could do without, however. Your clematis is so pretty. Beautiful color. Outside is my favorite place to be...until the Florida state bird starts biting. What a beautiful color of Clematis! How beautiful! Yep, yesterday was QUITE windy wasn't it?!? I guess we should expect it though in Oklahoma. It has started to rain here this morning. In the first couple of months after Andrew's HOMEgoing, I thought and even said several times, "No more speaking for me. I have NOTHING to say." I turned down 3 invitations. I have since accepted one of those "inviters" who was persistent and patient. Trusting God in ALL things...even speaking and teaching again. 2 Cor. 2:14...just like I did with the initial diagnosis. Some days are SO VERY HARD (like today) BUT, as always, GOD. Thanks for asking. Thanks for your encouragement. Love the that beautiful clematis. Send some of the breeze south (New Orleans)... it's humid today (yuck). Love that second flower picture - Lovely! Today is one of those days that sparkle, here in our part of the country too. Howdy Stacey! I'm so happy you dropped by and left me a comment about the floors. I can't get over how different the room feels! Definitely worth the trouble. So you live in Georgia? I bet you have the cutest accent. 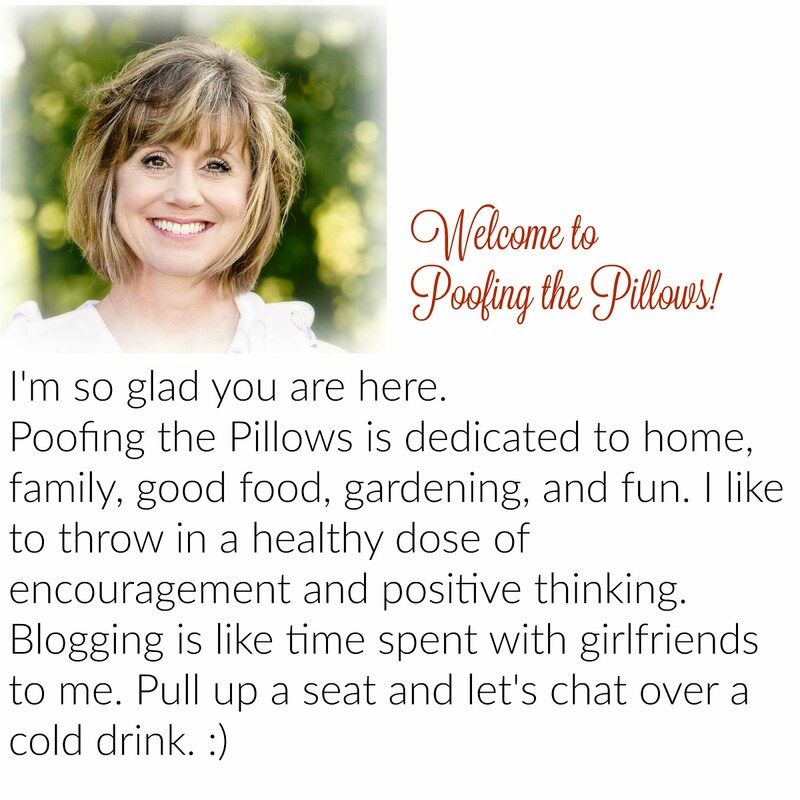 I just love blogging! It's so much fun meeting new friends...reminds me a little of the 'pen pals' we had in elementary school. Do you live in a city or small town? Abilene has 100,000, which feels pretty small to me. Life here is kind of like swinging in a hammock. Hope you'll drop by again. I too, grew up in Dallas. Oak Cliff to be exact! I graduated from David W. Carter '73. Some days do sparkle and shine! Your clematis is gorgeous! They are such beautiful vines! Hi Stacey! The wind has been whipping down the hills of northern New Jersey too! We lost a shutter off our old house, and everyone's trash cans are blowing all over the roads. LOVE that shot of the clematis; how I would love to have one of those vines! I have the same clematis blooming! What a wonderful day Stacey! Your vine is gorgeous! Thanks for popping in to see me and hope you've had a great weekend. Wow! What a coincidence! Well, I am so glad you stopped by my blog and thanks for following and posting about the giveaway! You have an adorable blog! Oh, and I just read your post about meeting Jamie Deen on your trip. I thought that was so cute! We visited there a few years ago and tried to get in, but the wait was waaaaay too long! I bet the food was so good! I will have to just go back another time!